March has been a busy month of tournaments for our students and they have been having some awesome results!!! In the past few weeks they have competed at the Aquafina Thornblade, Bullfrog Designated, SC State Open, and the Family Circle Cup. We are so excited for them and proud of all of their accomplishments! In the Aquafina Thornblade Southern Level 3 Tournament in Greer, South Carolina held March 17-18, Jack Kelly won the Boys 12 and under title and Sydnee Wheeler placed 4th in the Girls 16 and under division. 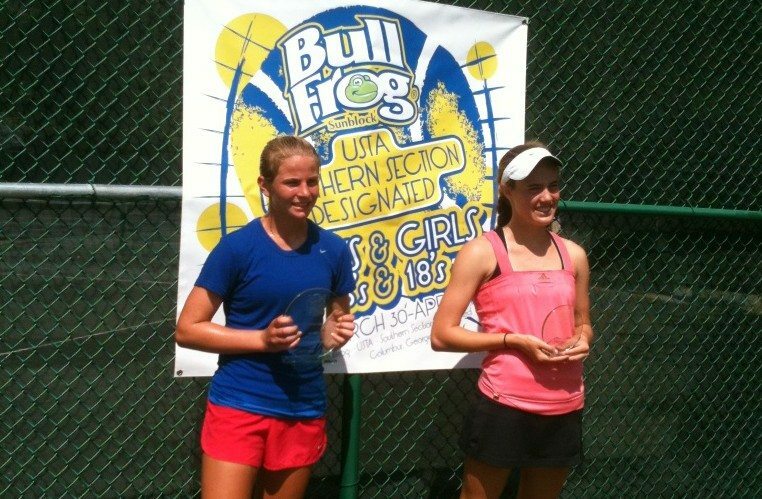 Jackie Carr and Hampton Drake won the Bullfrog Designated in Columbus, Georgia in the Girls and Boys 16 and under divisions that was held March 30-April 2. Matt Mendez placed 3rd and Jess Jones placed 4th in the Boys 18’s divisions. 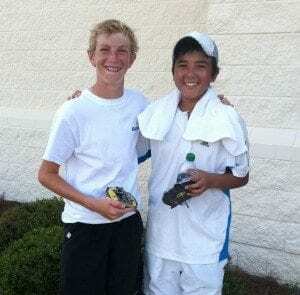 Hampton Drake also won the Sportsmanship Award in the 16’s, while Charlie Drake won the Sportsmanship Award for the 18’s. Robert Loeb placed 3rd in doubles in the Bullfrog Designated in Auburn, Alabama in the Boys 14 and under division while Cameron Kriscunas placed 3rd in doubles in the Girls 14’s. 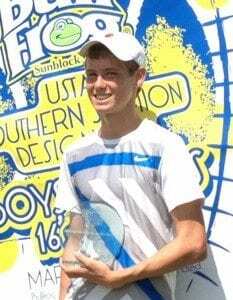 At the SC State Junior Open, held in Taylors, South Carolina from March 30-April 1, we had multiple winners! Alex Vanezis won the Boys 14’s, while Kate and Elle Christensen won the Girls 16’s and Girls 12 and under divisions. 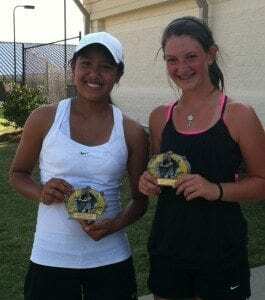 Liz Williams was also a Finalist in the Girls 14’s. Hayley Carter competed in the Qualifying Round of the WTA Family Circle Cup falling to WTA tour veteran Melinda Czink. It was a great experience for Hayley to play against the top pros.